Many music fans worldwide will be happy with the release of this new studio album by German/British band Lucifer’s Friend. This is, perhaps, “breaking news,” as they say, because it’s been 36 years since the band’s last release Mean Machine in 1981. Lucifer’s Friend began in 1970 and has gone through a number of stylistic and personnel changes. But original core members vocalist John Lawton, guitarist/keyboardist Peter Hesslein, and bassist Dieter Horns are back at the helm to deliver an album packed with raw rock and roll dynamite. Now when a number of “classic” bands of the past decides to reform it seems like they’ve returned to the scene for a major payday or some ulterior motive. Often there may be only one original member from the band’s “glory” days, and an album or series of live performances is just an excuse to cash in on a retread of the “hits.” Well, that is certainly not the case here! These veteran musicians came to play and have released an album of totally new and original material that is strong and truly makes a statement. 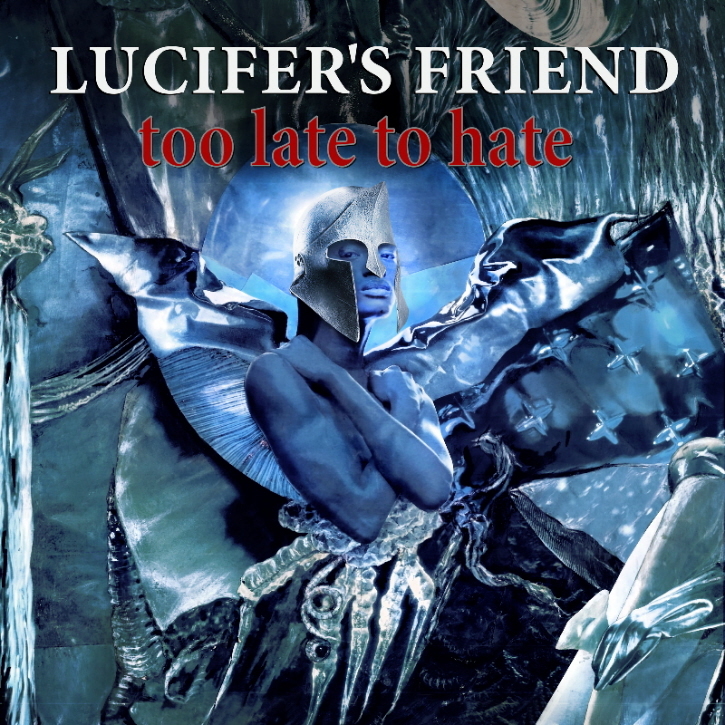 Lucifer’s Friend is one of the original hard rock and progressive bands from the ’70s and brings that ample volume of experience and expertise to the proceedings here. Right out of the gate, “Demolition Man” revs on all cylinders, with a driving force and uptempo vibe that won’t be denied. The spirit of Deep Purple and Whitesnake combined fuel the following track, “Jokers and Fools.” They lay off the accelerator a tad for the ballad “When Children Cry” but pick the pace right back up for the heavy-hitting “Straight for the Heart.” A little down the list, “Don’t Talk to Strangers” features a well-constructed chorus and huge guitar riffs by Hesslein. And when you have such a charismatic and brilliantly melodic singer as Lawton in the mix, blues rockers like “This Time” and “Sea of Promises” just flow like butter. This is contemporary hard rock that may have eluded your radar screen in the past. But if you’re looking for something fresh on the music scene, you can’t go wrong here. This entry was posted in Album Reviews and tagged Album Review, Eric Harabadian, Lucifer's Friend. Bookmark the permalink.